Home » Should Advertisers Be Investing More of Their Budget Into Amazon? Should Advertisers Be Investing More of Their Budget Into Amazon? Even though it is hard to imagine anyone competing for Google’s place in paid search, it is hard to ignore the disruption Amazon is making. For the past few years, Amazon’s advertising business has been talked about as the next big platform for marketers. Though currently in third place, behind Google and Facebook in terms of digital advertising market share – if they continue their rate of recent growth, Amazon is on track to become the primary destination for product search. In addition to this, it has been reported that by 2021, Amazon’s advertising income will reach $16 billion and become larger than Amazon Web Services, which is predicted to remain at around $15 billion. 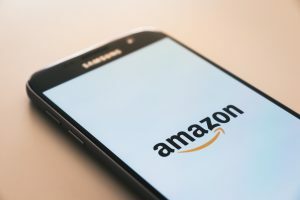 A survey of 700 digital marketers conducted by Third Door Media, the parent company of Marketing Land, found that 80 per cent of those currently advertising on the platform plan to increase their Amazon ad investment by 2019. It seems that Amazon is using their position as the largest product search engine to attract more advertisers to utilise their service. And by implementing Google Ad functions such as allowing advertisers to buy keywords related to their products and therefore reach users when they are on the platform is compelling advertisers to use it even more. Amazon is using this tactical combination to determine its place within the paid search space and is making a lot of noise. It will be interesting to see the shift in people utilising Amazon’s advertising platform next year and how Google plan to respond to this.